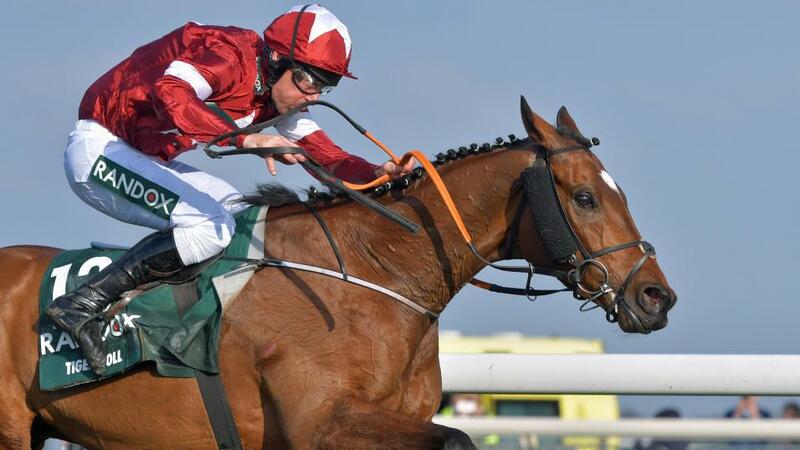 "...a 6 lb rise in the weights unlikely to stop him..."
Dual bumper scorer Tintangle looked set to play a part in the finish when coming down on her hurdling debut at Galway last month, still in the main quartet when departing at the second last, and is taken to gain compensation now. Ayr winner Sassy Diva has the best hurdle form and could be the one to give her most to think about ahead of Charles O'Brien's Rain In Spain. Gigginstown look to have another strong hand here with Generalisation and Extrapolate, the former having shown plenty to work on when fourth in a maiden hurdle at Gowran on his Rules debut, while his likely main rival was above average in bumpers. They're likely to dominate the finish unless newcomer Touch of Oscar proves to be a bit out of the ordinary. Commandant and Lleyton filled the first two places over C&D last time and could end up fighting this one out, too, the first-named taken to confirm the form given the amount he seemed to have up his sleeve starting out for a top yard that day, a 6 lb rise in the weights unlikely to stop him. Another last-time-out winner, Whatsinthecorner, ranks as a danger in a competitive affair for the grade.